October choices for the LeVar's Rainbow Book Club. 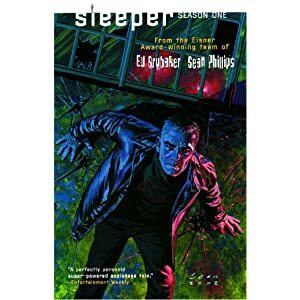 SLEEPER is the critically acclaimed graphic novel series written Ed Brubaker and illustrated by Sean Philips, the Eisner Award winning creative team of Criminal, which tells the story of agent Holden Carver and the secret criminal organization he becomes enmeshed with. Carver is forced to live one day at a time in a deadly game of cat-and-mouse he plays with its leader, Tao, the amoral master of manipulation trying to elude detection since he has no way back in from the cold. 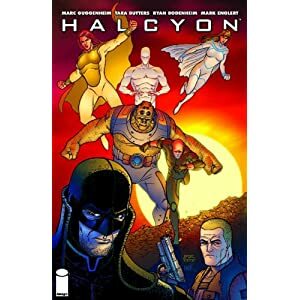 Collected for the first time, an early classic from the ALL-STAR SUPERMAN team of Grant Morrison and Frank Quitely, newly recolored. Once he was Hero of the Beach . . . and of the Doom Patrol. 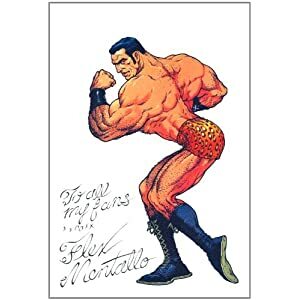 Now Flex Mentallo, the Man of Muscle Mystery, returns to investigate the sinister dealings of his former comrade, The Fact, and a mysterious rock star whose connection to Flex may hold the key to saving them both. This fast-paced tale twists super hero tropes, introducing one mind-boggling concept after another in a tour de force of innovative storytelling. 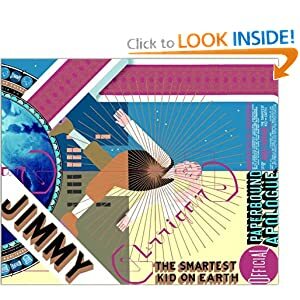 This long-asked-for Vertigo title is collected at last, presenting an early collaboration between writer Grant Morrison and artist Frank Quitely, who would win much acclaim on ALL-STAR SUPERMAN and WE3. Ware's graphically inventive, wonderfully realized novel-in-comics follows the sad fortunes of four generations of phlegmatic, defeated men while touching on themes of abandonment, social isolation and despair within the sweeping depiction of Chicago's urban transformation over the course of a century. Ware uses Chicago's World's Colombian Exposition of 1893, the great world's fair that signaled America's march into 20th-century modernity, as a symbolic anchor to the city's development and to the narrative arc of a melancholic family as haplessly connected as are Chicago's random sprawl of streets and neighborhoods. In 1893, nine-year-old Jimmy Corrigan is abandoned atop a magnificent fair building by his sullen, brutish father ("I just stood there, watching the sky and the people below, waiting for him to return. Of course he never did"). Nearly a century later, another Jimmy CorriganDthe absurdly ineffectual, friendless grandson of that abandoned childDreceives a letter from his own long-absent, feckless father, blithely and inexplicably requesting him to come and visit. Ware's surprisingly touching story recounts their strange and pathetically funny reunion, invoking the emotional legacy of the great-grandfather's original act of desertion while presenting a succession of Corrigan men far more comfortable fantasizing about life than living it. The book is wonderfully illustrated in full color, and Ware's spare, iconic drawing style can render vivid architectural complexity or movingly capture the stark despondency of an unloved child. This autobiography by the author of the long-running strip, Dykes to Watch Out For, deals with her childhood with a closeted gay father, who was an English teacher and proprietor of the local funeral parlor (the former allowed him access to teen boys). 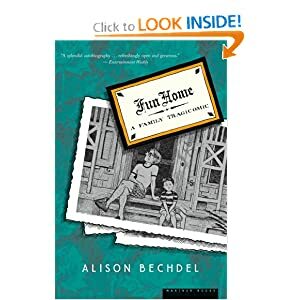 Fun Home refers both to the funeral parlor, where he put makeup on the corpses and arranged the flowers, and the family's meticulously restored gothic revival house, filled with gilt and lace, where he liked to imagine himself a 19th-century aristocrat. The art has greater depth and sophistication that Dykes; Bechdel's talent for intimacy and banter gains gravitas when used to describe a family in which a man's secrets make his wife a tired husk and overshadow his daughter's burgeoning womanhood and homosexuality. His court trial over his dealings with a young boy pushes aside the importance of her early teen years. Her coming out is pushed aside by his death, probably a suicide. The recursively told story, which revisits the sites of tragic desperation again and again, hits notes that resemble Jeanette Winterson at her best. Bechdel presents her childhood as a "still life with children" that her father created, and meditates on how prolonged untruth can become its own reality. She's made a story that's quiet, dignified and not easy to put down. For decades, Mazzucchelli has been a master without a masterpiece. Now he has one. His long-awaited graphic novel is a huge, knotty marvel, the comics equivalent of a Pynchon or Gaddis novel, and radically different from anything he's done before. Asterios Polyp, its arrogant, prickly protagonist, is an award-winning architect who's never built an actual building, and a pedant in the midst of a spiritual crisis. After the structure of his own life falls apart, he runs away to try to rebuild it into something new. There are fascinating digressions on aesthetic philosophy, as well as some very broad satire, but the core of the book is Mazzucchelli's odyssey of style—every major character in the book is associated with a specific drawing style and visual motifs, and the design, color scheme and formal techniques of every page change to reinforce whatever's happening in the story. 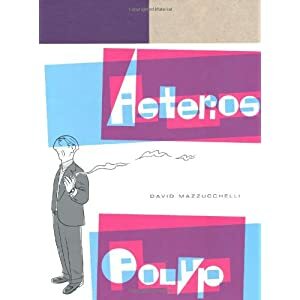 Although Mazzucchelli stacks the deck—few characters besides Polyp and his inamorata, the impossibly good-hearted sculptor Hana, are more than caricatures—the book's bravado and mastery make it riveting even when it's frustrating, and provide a powerful example of how comics use visual information to illustrate complex, interconnected topics. Easily one of the best books of 2009 already.